Nearly 70% of Americans take prescription drugs, the most common of which are antibiotics, antidepressants, and pain killing opioids. Many of these drugs can affect your driving and if you are found to be driving recklessly in Boise, Idaho while under the influence of prescription pills, you may be hit with DWI charges. We’ll take a look at DWI law in Idaho to give you an idea of how driving under the influence of prescription pills can affect your criminal record and the best DUI defense practices your lawyer may use should you ever be charged. How Do Prescription Pills Affect My Driving? According to a 2009 study by the National Highway and Traffic Safety Administration, over 18% of fatally injured drivers in America tested positive for at least one illegal or prescription drug. Before you head out on the road in Boise, it is important that you are aware of how certain medications can affect how you drive. Pulled over for a DUI because you took prescription pills? The Boise DUI Guy can provide you with proper legal representation. 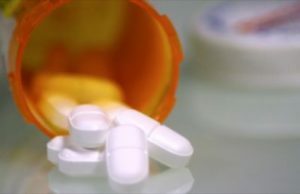 What Does the Idaho DUI Law Say About Prescription Pills? Idaho’s drugged driving law states that it is unlawful for any person to drive under the influence of drugs, a combination of drugs and alcohol, or any other intoxicating substances. This means that it does not matter if the driver is legally allowed to use the drug. As long as they are under the influence, the driver can face DWI charges and is advised to consult with a DUI defense lawyer. Currently, there is no testing standard to determine conviction of drugged driving. When it comes to driving under the influence of alcohol, a DUI is granted to anyone with a blood-alcohol level over 0.08%, but for drugged driving, each situation is dealt with on a case-by-case basis by the prosecutor. If you are convicted, this will be considered a prior offense, whether or not any subsequent offenses are related to drugs or alcohol. What are the DUI Charges for Prescription Medication? If you are charged with a DUI, the penalties can vary. This will depend on whether it is your first, second or third offense, and your DUI defense will also change accordingly. Idaho lawmakers take drunk driving very seriously, and there are some steep penalties if you are found to be driving while under the influence of drugs or alcohol. So it is crucial for you to understand how your prescription or over-the-counter medications can affect you before you get behind the wheel in Boise, Idaho, to avoid facing DUI charges. When it comes to DUI charges, the best defense is being preemptive. That is to say: you should avoid driving under the influence at all. If you are unsure about whether or not certain medications you have taken could impair your driving, ask your doctor or a pharmacist. However, sometimes getting from Point A to Point B is inevitable. If you are charged with drugged driving in Idaho, then it is important that you enlist the help of a lawyer who specializes in DUI defense. The legal team at Boise DUI Guy is experienced with these types of cases and can help you avoid or reduce your penalties. We are committed to helping you with your DUI defense if you are ever arrested for drugged driving.